CalgaryGrit: ALP Leadership Candidate Profiles: All Aboard the Payne Train! ALP Leadership Candidate Profiles: All Aboard the Payne Train! Today, the first of a five part series profiling the candidates. I'm not supporting anyone in this race but, in the interests of full disclosure, I should point out that Bruce Payne is advertising on this blog. 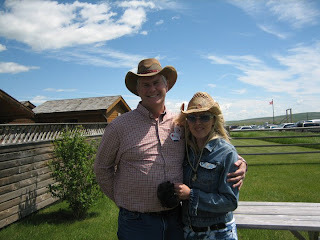 Background: Even if you follow Alberta politics, you've probably never heard of Bruce Payne. He's never held elected office, though he is the nominated Liberal candidate in Calgary Varsity, a riding currently held by retiring MLA Harry Chase. Born in Alberta and a carpenter by trade, Payne has been a labour leader for many years prior to entering politics. Online: Payne's website is at 87strong.ca. No, he's not a Sidney Crosby fan - the "87" in this instance refers to his focus on building 87 strong Liberal riding associations across Alberta. Putting the focus on an idea rather than the candidate is a risky move in any leadership contest. But I like it as a strategy here. Payne will likely draw most of his support from ridings where the party is weaker, so this gives him an opportunity to use the idea (87 strong ridings) to help define him to ALP members who have never met him. Can he win? Payne is a complete unknown, but I think he stands as good a chance as any of winning. Payne's involvement in the labour movement will translate to votes, and unless Bill Harvey mounts a strong campaign, Calgary and rural Alberta is Payne's for the taking, while the other three candidates fight over a finite number of Edmonton Liberals. My Take: Using a sports analogy, choosing between Payne and more established names like Blakeman and MacDonald is akin to choosing between the hot prospect or the more established veterans. Sure, the raw potential is there, but it might take time for him to fully develop, and he could flame out. From what I saw at May's leadership forum in Calgary, Payne's still needs to work on his public speaking - both in terms of substance and delivery. But the potential is certainly there. Payne looks like a leader and has a very welcoming smile and "aww shucks" sort of attitude, that makes him quite likable. If I were casting a Liberal Premier of Alberta in some kind of alternate-reality sci-fi movie, I'd get an actor who looked just like Bruce Payne (James Brolin?). As a former carpenter and pastor from small-town Alberta, Payne is certainly the best candidate to shatter the party's "downtown elitist" imagine and expand its base. And hey, given it will take a miracle of biblical proportions to get the Liberals into power, going with a pastor carpenter might not be a bad move. posted by calgarygrit at 12:00 p.m.
By Robert Vollman, at 4:15 p.m.
By www.muebles-en-chinchon.com, at 6:37 p.m.
By chenlina, at 8:13 p.m.
By jeje, at 4:18 a.m.
By raybanoutlet001, at 1:45 a.m.
By raybanoutlet001, at 11:31 p.m.
By 郑佳颖, at 2:58 a.m.
By raybanoutlet001, at 9:08 p.m.
By raybanoutlet001, at 9:30 p.m.
By jeje, at 11:35 p.m.
By Yaro Gabriel, at 2:06 a.m.
By raybanoutlet001, at 9:41 p.m.
By love, at 10:37 p.m.
By Pengobatan Atasi Blefaritis, at 12:08 a.m.